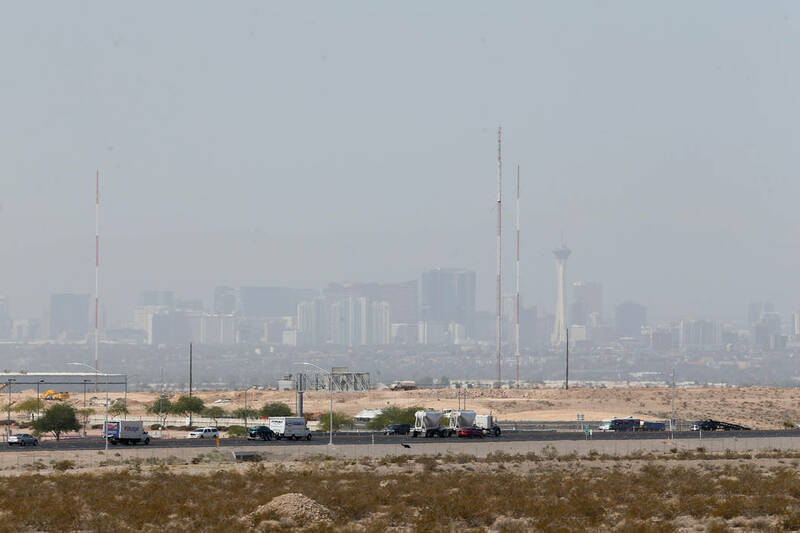 Wildfires in California and Arizona painted the air in the Las Vegas Valley in ochre tones Tuesday, prompting Clark County to issue an air quality advisory for Tuesday and Wednesday. 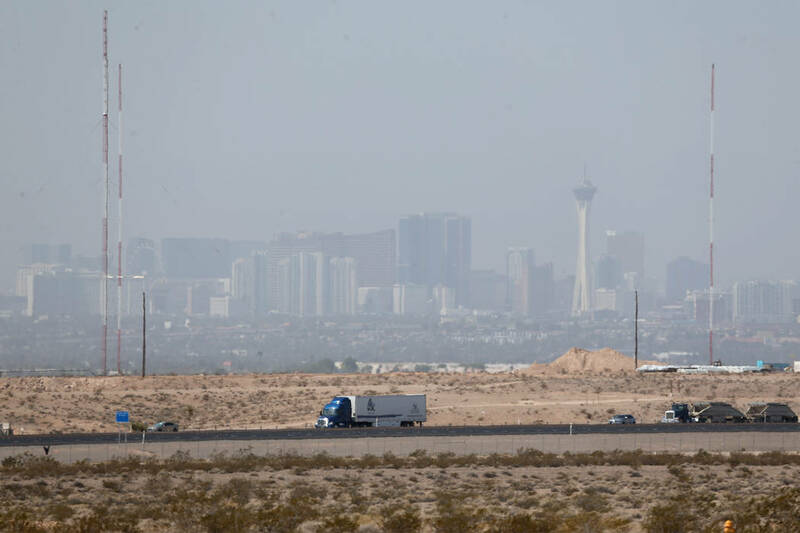 Wildfires in California and Arizona clouded the air in the Las Vegas Valley on Tuesday, prompting Clark County to issue an air quality advisory for Tuesday and Wednesday. The Department of Air Quality said in a news release that elevated levels of smoke contributed to the advisory. Dust particles in smoke can contribute to ground-level ozone, which can cause coughing, wheezing and shortness of breath, the department said. A seasonal ozone advisory remained in effect. 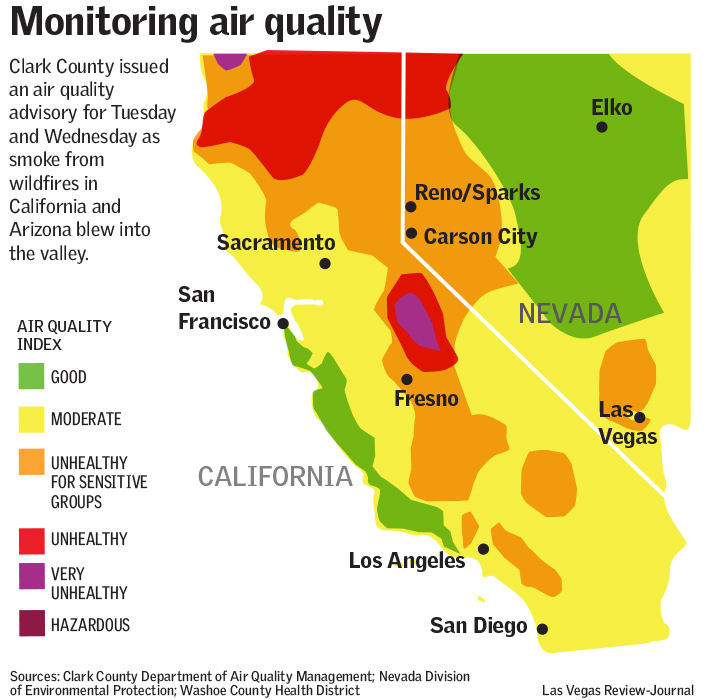 Air quality in the Reno-Sparks area in Northern Nevada has been affected by smoke from wildfires in California and Nevada, creating some of the worst pollution levels ever recorded there, according to the Washoe County Health District. Two Nevada National Guard helicopters were sent to California on Monday, likely to help fight the Mendocino Complex fires near Lakeport, California, that have burned more than 56,000 acres. Lakeport, in Northern California, is at least a 10-hour drive from Las Vegas. 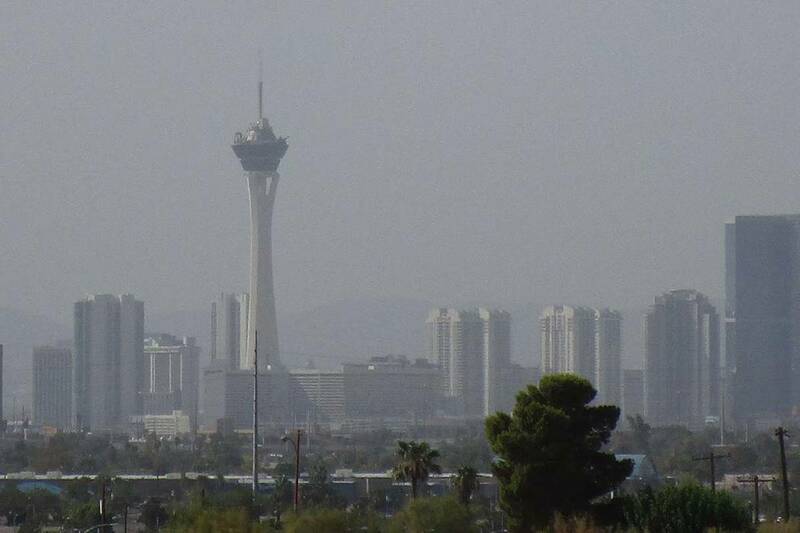 In addition to smoky air, the Las Vegas Valley is facing the possibility of thunderstorms over the next several days. Scattered showers are forecast for Wednesday and Thursday, National Weather Service meteorologist Kate Guillet said, with about a 20 percent chance of rain in the afternoons and evenings. Temperatures are expected to drop from Tuesday’s high of 109 degrees to 107 on Wednesday and Thursday. The chance for thunderstorms will start to decrease Thursday, according to forecasts, and rain is more likely to fall over the Spring Mountains than the valley by the end of the week. Morning lows will stay in the mid-80s through the week, Guillet said. By Friday, the valley should start to dry out with a slight chance of rain in the forecast, weather service meteorologist Ashley Wolf said, and the weekend likely will stay dry and sunny. Friday’s forecast high is 106, and Saturday will kick off the weekend with a high near 107, she said. The normal high for this time of year is about 104. — Stay indoors when you smell or see smoke. — Limit outdoor activity and exertion when ozone levels are elevated – exercise makes you breathe heavier and increases the amount of particulates you may inhale. — Keep windows and doors closed. Run your air conditioner inside your house and car. Air conditioning filters out smoke and particles. — Change your indoor air filters if they are dirty. — Schedule activities for the morning or evening when ozone levels are usually lower. — Substitute a less intense activity – walk instead of jog, for example. — Reduce driving – combine errands into one trip. — Don’t idle your car engine unnecessarily. — Use mass transit or carpool. — Fill up your gas tank after sunset. Try not to spill gasoline when filling up, and don’t top off your tank. — Keep your car well maintained. — Consider landscaping that uses less water and gas-powered equipment to maintain. — Turn off lights and electronics when not in use. Less fuel burned at power plants means cleaner air.